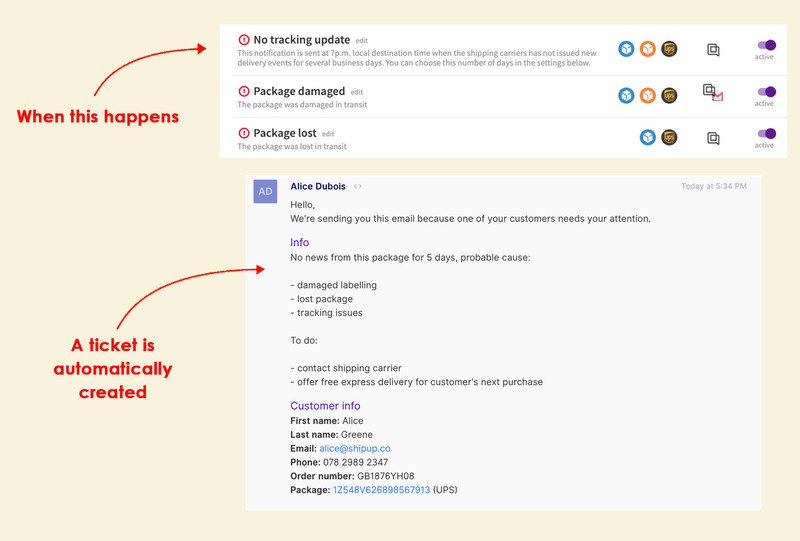 Generating shipping alerts in Gorgias will enable you to have more visibility towards the issues your customers' packages encounter. Your customer service will be able to deal proactively with the issues and will become hyper efficient. If you want to have a clearer idea of how to deal with your notifications, click here. To do this procedure, you need to have installed the Gorgias app on Shipup. If you wish to do so, click here. To create a test ticket, instead of clicking "Update", click "Create test ticket"